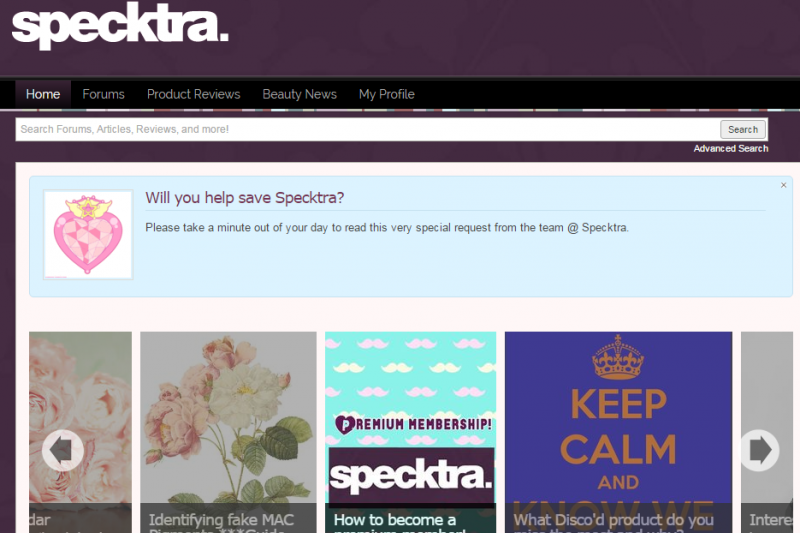 Like many of us, Specktra is my #1 resource for news on the latest beauty products, MAC Collections, etc. It is in grave danger of disappearing if we don't save it! Basically, the platform that they are hosted on is crapping the bed, and in order to switch hosts they need to convert the entire board. But that is EXPENSIVE. So the creator, Janice, has set up a GoFundMe page HERE to raise funds for it. We are almost halfway there, which is amazing, but we still need more help! 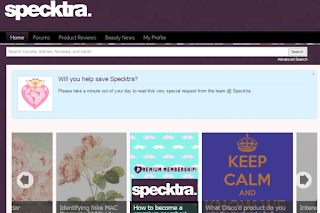 Every little bit counts - I have been trying to share this link everywhere and it just hit me now, "Hey, you have a beauty blog, why not post about it there?" lol! Thanks for listening!